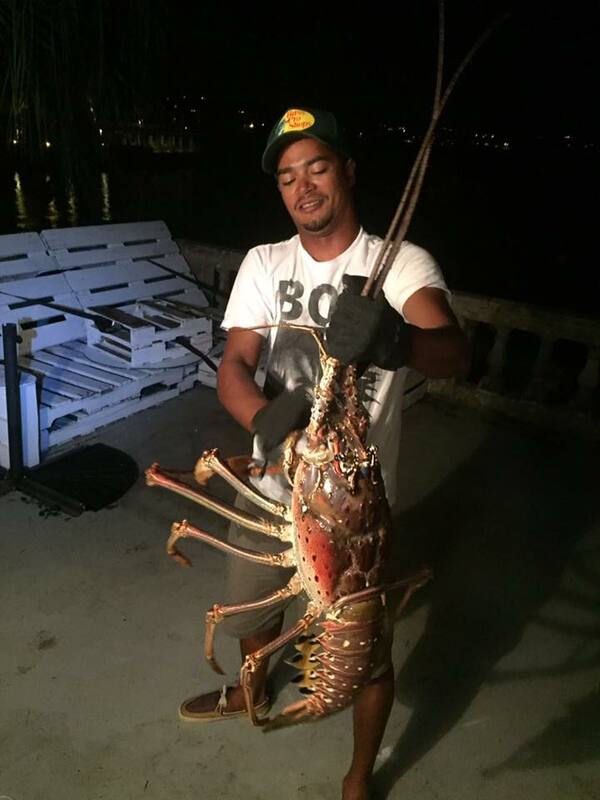 A massive 14 pound lobster was recently caught in Bermuda’s waters by Sanctuary Marine, with the super sized lobster released after being caught accidentally. 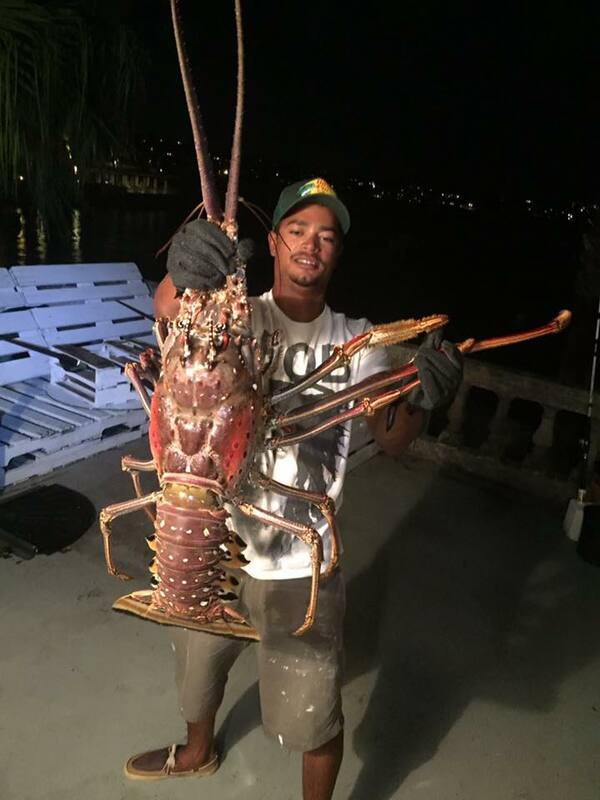 In explaining how the lobster was caught, Sanctuary Marine’s Captain Matthew Jones told Bernews, “The lobster was caught accidentally on a live white grunt while hand-line fishing off the rocks at night for Grey Snapper. We got incredibly lucky and hooked it in the toe. For more information about Sanctuary Marine, please visit their Facebook page or website. Nice gesture, cockroach of de sea. Really glad he was released. thank you for not disclosing location. you bies are alright…..so many shady guys I know wud have sold that under the table to a restaurant or hotel….. The bigger they are the worse they taste according to top chefs. But I ain’t no chef, I just think vegans are annoying. You are absolutely right, Vegans are sooooo annoying. Is it even possible for someone to be a vegan without feeling the need to tell everyone constantly how vegan they are? Every time I see things like #Vegan #govegan #vegetarian #veganfun it makes me want to order a rare steak and instagram it with the hashtag #topofthefoodchain. The best is when vegans try to out vegan each other. For example = I only eat carrots that have had someone read poetry to them since they were seeds or I only eat cage free grass that hasn’t been walked on. What a beautiful creature. He is obviously living a long, healthy life somewhere. Thank you for being kind to him and releasing him quietly. He deserves to keep on keeping on. lol. That is a big old granddaddy. Need his genes in the genepool. He’d be tough and chewy anyway. 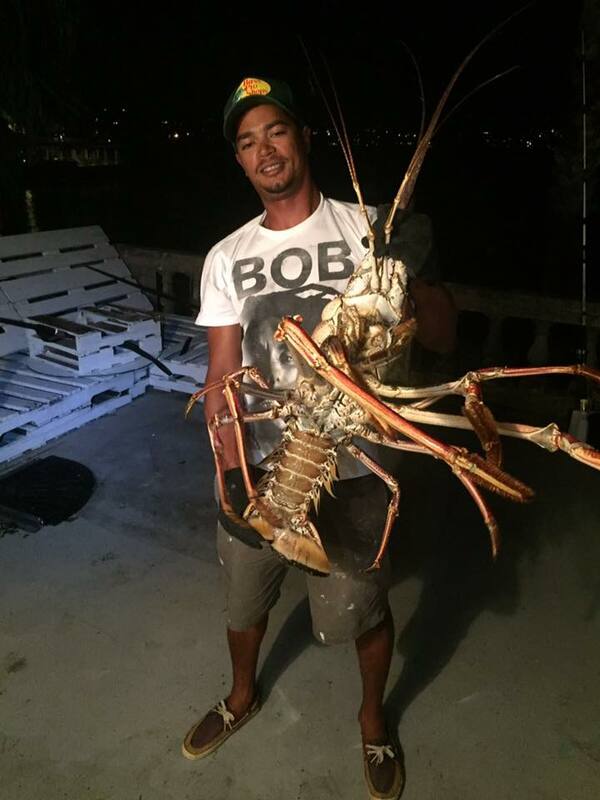 You don’t know what your talking about most people suggest the meat of a lobster this big will be tough or have no flavor yada yada yada but have likely never seen or cooked a lobster this size I however have and the meat was as tender and juicy as any I have cooked. They used their own camera ya binford. Just saw this on Huffington Posts front page. Why not take it to the aquarium where it would be safe. This guys got mates he’s probletly told where he caught it they will probley going looking for it and catch it. Nice to see he was recognised as a “beautiful creature”. This makes the man who caught him a beautiful person! Made my day, this story! The first person to eat a lobster must have been really hungry!